St. Louis is known for being a Shakespeare kind of town. We have our own theatre troupe dedicated to bringing the Bard’s words to life and let’s face it—we know drama. 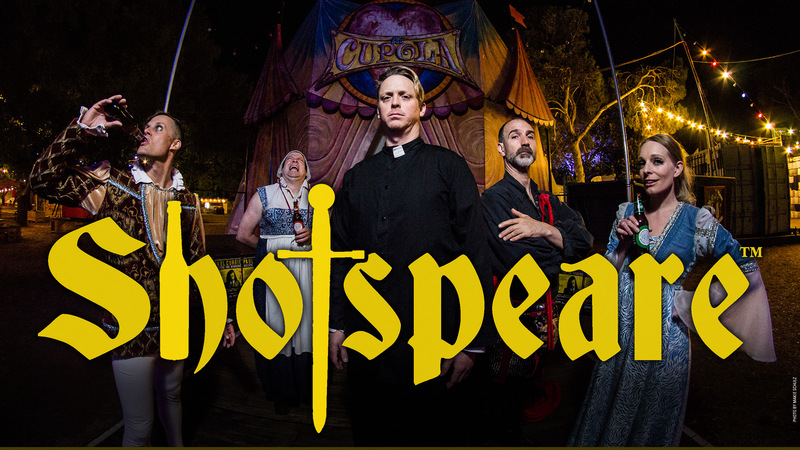 The Playhouse at Westport Plaza is bringing back a different kind of Shakespeare—one with audience participation, a Wheel of Soliloquy and shots, lots of shots. I recently was granted an audience with Matt Morgan, the brilliant creator of this theatrical drinking game. We talked about his childhood, his clown school training, his work with Ringling Brothers, and how Shotspeare came into existence. Jim Ryan: Where are you from originally? Matt Morgan: Born and raised in Los Angeles, California. I’m a valley guy. I’m a little more grounded. I come from a very loving and nurturing middle class family. I guess I was, but I wouldn’t call myself the class clown. I have memories of going to the theatre with my family. I remember seeing The Crucible at a really young age. I remember seeing Lily Tomlin’s one woman show. I also did a lot of sports as a child, which I think is why Shotspeare has a sporting component. Was I funny? Yeah. Was I the craziest kid in class? No. What made you want to get into acting? Fresh out of high school, I went to Ball State University. I was a volleyball player and a political science major. That lasted about four months. I went completely crazy. I realized very quickly volleyball was something that was not going to be my career. I pulled out of there and went to junior college in Santa Cruz in California, changed my major to theatre. After realizing this is what I wanted to do I auditioned to get into the University of Utah acting program—I had some friends from high school going there—and I got in. A teacher named Kenneth Washington—he was a ballet performer for many years and then got into teaching acting—he opened my mind to the arts and creativity. As you say on your website, you and your wife spend way too much time together. Where did you two meet? I went to back to Los Angeles after a number of years and worked with a theatre company called the Troubadour Theatre Company. I did shows with them for a number of years. Eventually Heidi got cast into a couple of shows. I wasn’t cast in the shows she was in, but I helped out with some of the audience participation elements. We met during a production of A Withers’s Tale, which was a mash-up of A Winter’s Tale with the music of Bill Withers. I had to leave for a month during the run and I had hoped she would still be single when I got back. She was and the rest is history. Have you two unlocked the code of living and working together? Communication and patience. We are artists who are both totally open-hearted. She is very good at not holding on to things which is incredible. She sees that I have big visions and she is supportive and says, “Go for it!” She is from a small town in Eastern Washington but has an incredible sense of adventure. She’s always looking for what’s the next big thing. How often out of the year do you tour with your shows? We have a myriad of things we do, so Shotspeare is part of the year. We have been to St. Louis a couple times, we just did a run at a theatre in Las Vegas. Every couple of months, we do a production of Shotspeare somewhere. And then Heidi and I also have a production company in which we create cabaret and circus shows. We were in Los Angeles for two and a half months doing shows there. We have a small circus tent that seats about 180 people. We are going to put a little show together and tour that through the Fall. So we are on the road a lot. We have a son now who we hope enjoys being on the road as well. You attended clown school and spent some time with Ringling Brothers. What was your favorite class in clown school? I have two: I loved mini-trampoline and partner acrobatics. I also loved the comedy aspect. I love slapstick as well as the minutia of comedy. Why is it funny this way? Why does this work and this doesn’t? I can do a myriad of other skills, but those two things piqued my interest the absolute most. What was your experience with the Ringling Brothers like? It was life changing. I did five hundred shows a year for two years. We did 13 shows a week. So I just got to perform under every kind of emotional state and in every kind of environment. Every kind of interactive experience happened during that time. I was on the train for two years, I got to hang out with elephants, I got to watch a tiger act from 15 feet away—that kind of stuff was just incredible. The line from your website says “Five Sword-wielding actors, one lucky audience member, the Wheel of Soliloquy, a ridiculous amount of booze and an entire work of Shakespeare in a ‘hour-ish’.” That’s a lot to unpack. There are other companies who say “every play in an hour” but I want to try and give each play a little bit more time. Mainly because we also want to do the story so 90 minutes or so of crazy drunken entertainment isn’t the way to go. I think the audience wants more of an entertainment value. We try to give the play under all of the chaos. In a nutshell, I love Shakespeare—I know most people don’t. So the idea was: how can we do a Shakespearean play and make it where people want to see it? The thought was we’ll put a drinking game on it and do it in bars. That way we can keep the ticket price low and people can drink as much as they want and then we’ll also do Shakespeare. Then I got together with some artistic collaborators I worked with in Los Angeles for many years and we kind of started to build the show. I came in with a script and some nuts and bolts and Shotspeare came from this amazing creative process. How do you go about choosing the audience participation member? This question made me think of a third piece of clown college—the interactive performer. We had to learn how to read your audience members, interact with them and bring them onstage. I’ve been doing that pretty intensely for a long time. Being an open person is probably the number one thing. But within a few seconds I can size someone up and pick the right person for the show. Have you ever had an audience member get out of hand on stage? Yeah, totally. The alcohol creates an environment than can be unruly at times. We had a guy who came up on stage with a glass of—what I found out later—Jagermeister that he chugged. Usually as the show goes on and they get more drunk, they settle down and they become more interesting actors and make better choices. This guy got more blackout drunk and kind of unsafe. It just became another kind of show where we all had to let go of our own stuff and everyone had to take care of him. He was our responsibility and we had to make sure he was OK.
How do you find five sword-wielding actors? Auditions and a lot of word of mouth. They are all classically trained actors who went to school and studied acting. That is kind of the easier part—the harder part is to find actors who can sort of handle their alcohol. Because of the openness of the show due to the drinking and the interacting with an audience member, the show is vastly different from night to night. So we need actors who are open to a living, breathing theatrical experience. Would someone like myself who is not overly familiar with the works of Shakespeare be able to enjoy the show? You don’t need to be a Shakespeare expert to get the show. Likewise, you don’t have to be someone who drinks alcohol to get the show. That’s the thing about Shotspeare audiences: they range in age and consumption. For the people that don’t drink and want to see Shakespeare, we have lots of Shakespeare for them in the show. We are just trying to introduce them to new ways of storytelling. What is your favorite kind of shot? I’m a vodka guy. We used to drink whiskey for the show. We used to drink Jack Daniels back in the day. Those shows were dark. They would just get dark by the second half. The hangovers were just horrible. Then we picked up Shakespeare Vodka as a sponsor. It just made everything lighter. Vodka just sits on me a little bit better. What does the future hold or you and your acting troupe? Shotspeare plays The Playhouse at Westport October 5th-7th. For show times and ticket prices, visit www.PlayhouseatWestport.com. 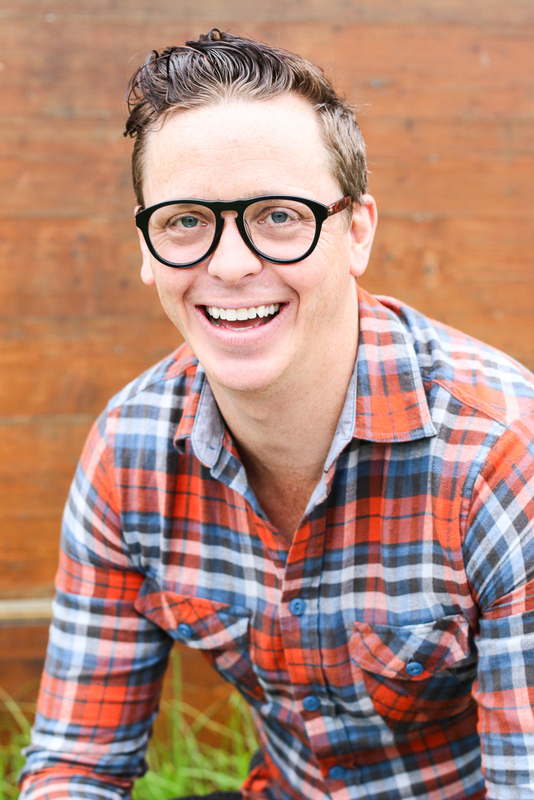 You can follow Jim on Twitter @TheJimRyan.